This HTM Madd Maxx knife is designed by custom knife-maker Darrel Ralph. 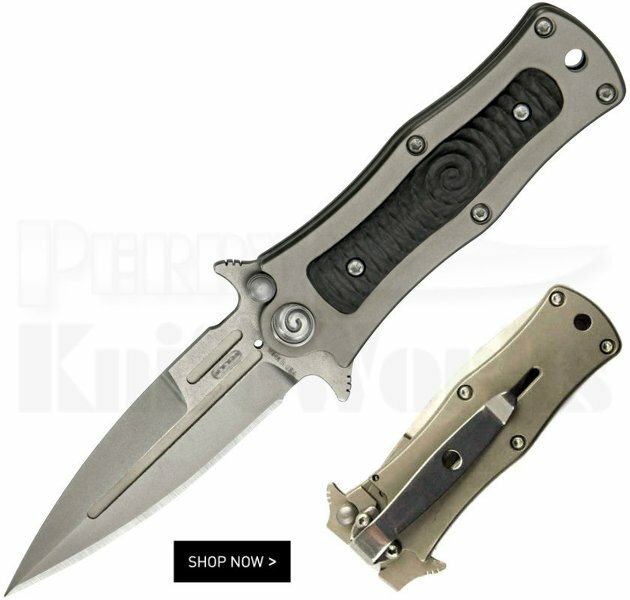 It has a bayonet style blade made from premium CPM-S35VN stainless steel. The blade opens with ease with its flipper guards and dual thumb studs. The 6Al4V titanium handle has a 3D machined carbon fiber onlay on the front side with the frame lock on the back. Equipped with a right hand tip-down pocket clip. Comes in a DDR padded black nylon pouch.